Phil’s Epic Fill-a-Pix Adventure invites you to enjoy the glory that is thinking inside the box. Phil has been around the world and needs you to develop his photos for him. 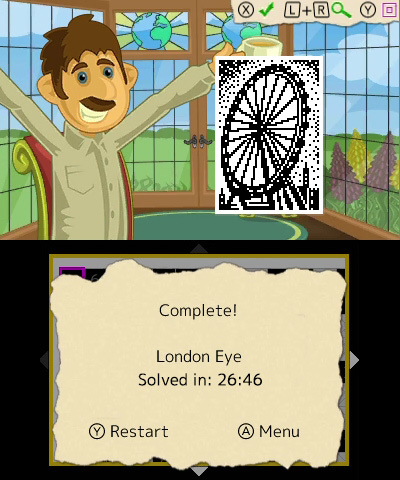 You do this by solving pixel puzzles of varying size. 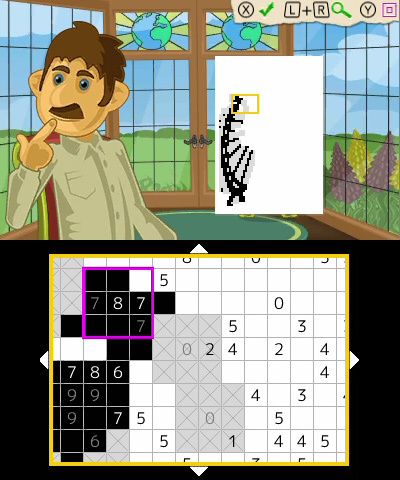 The game is not linear, so you’re free to choose from multiple puzzles, which is a welcomed feature. 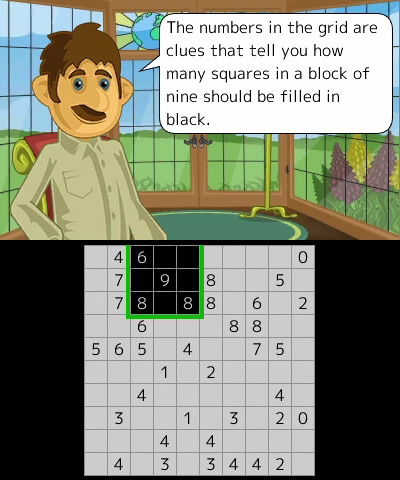 You have the option of filling single pixels at a time or using a Sudoku-like box, filling nine at a time. With the larger cursor, you can only fill boxes that already have an obvious solution. I tried both but used the larger cursor most of the time. Each puzzle took me from 30 to 60 minutes, playing at an admittedly relaxed pace. There is a lot of content so this is definitely worth the price. 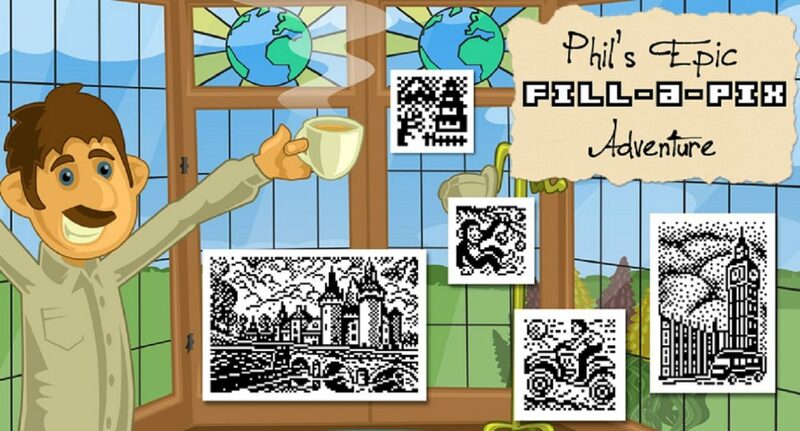 Phil’s Epic Fill-a-Pix Adventure can keep you going for a long time and I found it enjoyable to try to guess the picture as they are separated by country. Phil sits and watches comfortably with his coffee as you engage in this pixel fill adventure. Although Phil warns you that his camera is not the best, it felt like a cop-out to me. The black and white pixelated “photos” would have been beautiful if turned to color and smoothed out. Even if this was after the fact. The music was, unfortunately, another opportunity missed. I found the single track not relaxing or inspiring and ultimately chose not to listen. With an around the world trip, imagine if each country had native music. That would have been so cool! Even with the potential for improvement with the aesthetics, I would recommend Phil’s Epic Fill-a-Pix Adventure. I enjoy pixel fill puzzles and this delivers an abundance of content for $7.99. The idea of developing around the world pictures was a great concept. If Lightwood Games step up the sequel a little, the game will be amazing. Even with the potential for improvement with the aesthetics, I would recommend Phil’s Epic Fill-a-Pix Adventure.